The Internet is a fantastic resource when you’re trying to write a book, but it can feel like a sea of information at times. Especially when there are sites that look like they were created a decade ago. 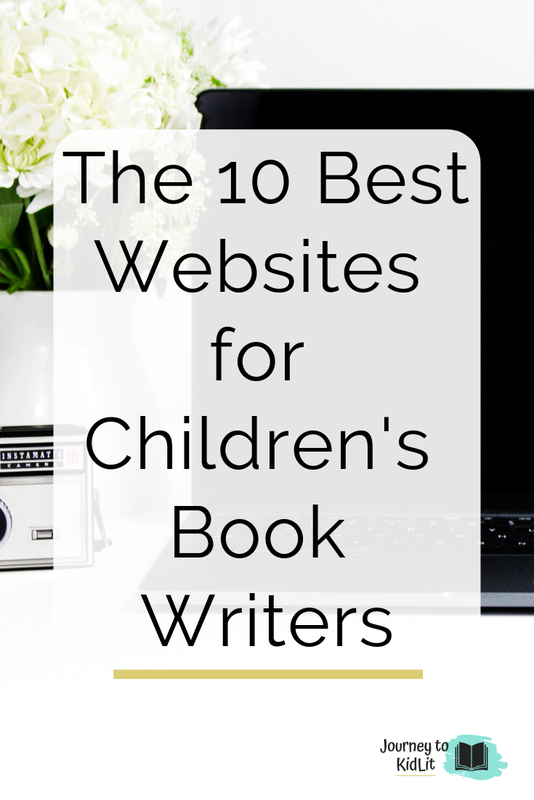 So how do you know the best websites for children’s book writers when you’re searching? Other than mine (Obviously 😉), these are the websites that I check often for information on agents, webinars, and submission opportunities. I talk about this ALL THE TIME because I really find this to be one of the best websites for children’s book writers. SCBWI is how I met my writer’s group, my critique group, went to my first conference, and got most of my writing knowledge in the beginning. The subscription fee is $95 at first, but it drops to $80 when you renew. Well worth the money with all that it offers. Like SCBWI, this is an amazing resource to find webinars and learn more about submissions. They also have a monthly newsletter that you can subscribe to for $5/mth. It’s a steal! Mary Kole is a former agent and publishing mogul. I’ve listened to a couple of webinars with her and LOVE all the insight she has to offer. Plus, she recently started teaching a course for children’s book writers. I signed up for Storystorm this year and it helped me come up with 12 new picture book ideas, plus actually write 3 new manuscripts in one month alone. If you’ve never heard of Storystorm, it’s a month worth of posts from children’s book authors about how they find inspiration. Great when you’re feeling stuck or uninspired! I have never done 12 x 12 for picture book writers, but I did do the 12 days of Christmas this year. Everyone who does 12 x 12 swears by it, which is why it’s listed as one of the best websites for children’s book writers. Full disclosure, I do not pay for a subscription to Publisher’s Weekly, but you do need one to access parts of their site. I only subscribe to their children’s bookshelf newsletter. This is one of the best websites for children’s book writers to learn what’s trending in the industry, what books are selling, and position changes within the publishing houses. I’ve also learned when new imprints open! You do not need to go to this site until you’re ready to submit to an agent. And you still don’t have to get a subscription, because you can always buy their book instead. However, if you want to learn the top agents, this is a GREAT resource for finding out who’s selling books. Not just who’s an agent. You can get lists of the top 50 best agents in every area of children’s book sales. Which is awesome! Like Julie Hedlund’s site, Literary Rambles is equally dated and clunky, but it’s still updated regularly with new information. Even an article from 5 years ago is better than nothing before you write a query. Like Literary Rambles, this is also one of the best websites for children’s writers that are wanting to research agents and editors. Because they offer both interviews with them AND what they’re currently looking for. I always read this site to know if my manuscript is a good fit for a particular agent and inspiration to write my hook. This site is easy to get confused with the other site because they have the same name essentially. But this one works more like a Twitter feed. Agents and editors update what they’re interested in reading or acquiring on a feed and they will tag their posts. So you can go in and search for a specific tag, too. Obviously, Journey to KidLit is also one of the best websites for children’s book writers (😉), but these are additional resources for you! Each can provide you with writing and publishing tips, submission help, industry insights, and events or opportunities to connect with writers near you. Explore One of the Best Websites for Children’s Book Writers Today!